GULU – Lance Corporal Geoffrey Odaga a Uganda Peoples Defence Forces (UPDF) soldier who shot dead three people in a bar in Gulu town has been sentenced to 39 years and 359 days imprisonment by the General Court Martial. 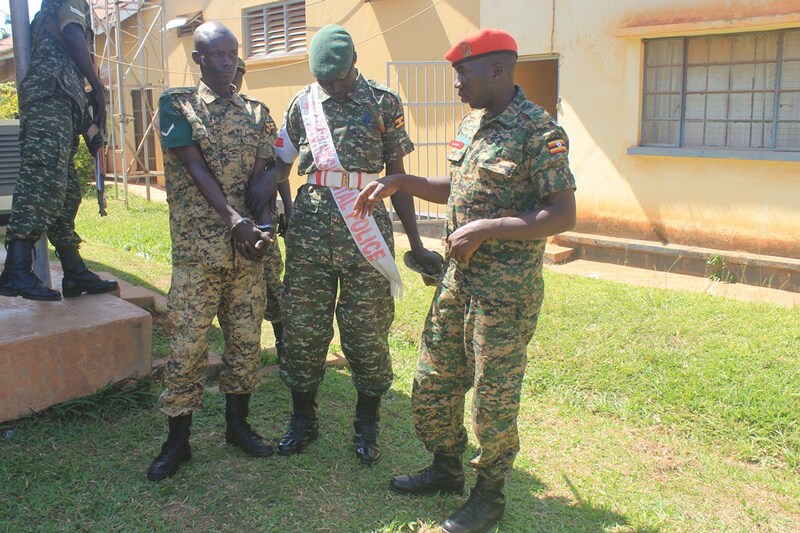 Odaga, 47 pleaded guilty before the General Court Martial chaired by Lt Gen Andrew Gutti at Gulu district Council hall at 11:00am on August 11. The soldier pleaded guilty on three counts of murder, attempted murder contrary to Sections 188 and 189 of the Penal Code Act Cap 120 and one count of aggravated robbery contrary to section 286 of Penal Code Act. On August 4, at 11:30pm the accused shot dead Denis Richard Ocen, the Gulu district organizing secretary Democratic Party dead, Yasin Fred a reveller and Sunday Wokorach Ouma the owner of Smiling Panda II bar which is located on the outskirts of Gulu town in Kabedopong Kasubi parish in Bardege division. He also shot and injured one Jimmy Ojok who was drinking alcohol from the bar and robbed six bottles of Senator Beer and Shs 61,500. Odaga, soldier number RA/159357 attached to the fourth guard battalion under the fourth Infantry Division headquarters in Gulu town used his gun number UG-UPDF 3604 to commit the crimes. Lt Gen Gutti while passing the verdict said the court has considered that the convict be sentenced to 40 years in each of the three counts of murder, 40 years for aggravated robbery and a 20-year jail term for attempted murder. Odaga’s defence counsel Capt. Charles Ssekayita told the court that he should be given a lenient sentence because he is HIV positive, suffers from Hepatitis B and Diabetes and is a single parent of five children. The accused also apologized to the bereaved families and the general public before the court. Lt Gen Gutti told court that he had listened to Odaga and considered that he serves 39 years and 359 days in jail to deter other soldiers from acting in such a manner. The 40 years has been reduced to 39 years and 359 days because he has been in the cells for six days since his arrest. When the sentence was read, the relatives of the people killed in the bar brawl broke down in court expressing dissatisfaction with the sentence because they saw Odaga smile while being handcuff by the Military Police. “Most likely he was sent to kill Ocen because he hid himself in the corner and it was after gunning down Ocen that he went to kill other people at the bar, we would not wish for another death but what he has done deserved a death [sentence], even the Bible says he [who] lives by the sword dies by the sword. This man should have not been left alive up to now,” Ocen’s elder brother, Francis Ojwiya said in anger. Jacqueline Ojwang a cousin to Ouma, who was also killed in the bar, said they are not happy because their dear one will never come back to life. Not even if the murderer received a death sentence. However, Ojwang was grateful that the court was brought closure to the affected communities arguing that that builds trust in the court procedures among civilians.